The coming Elder Scrolls Online: Elsweyr DLC (Downloadable Content) is the next big expansion for ZeniMax's Elder Scrolls MMORPG (Massive (or Massively) Multiplayer Online Role-Playing Game). 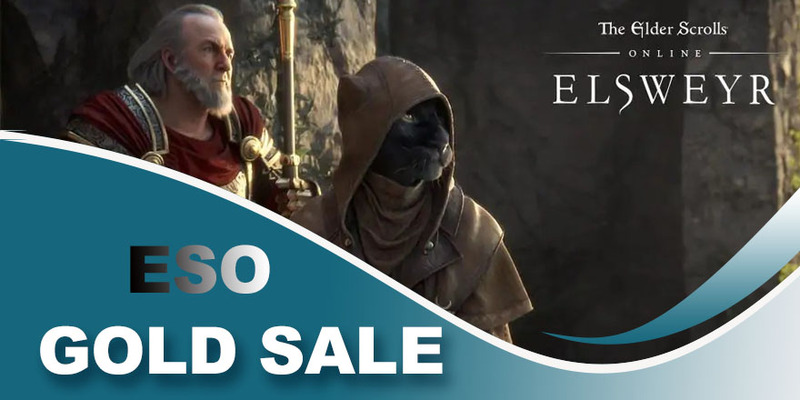 And this brand new game is about to release on the 4th of June, 2019, and of course, the Elsweyr will be the third Chapter DLC for the game, following Morrowind and Summerset. Meanwhile, it also will be the deepest-ever dive into the region of Elsweyr in any Elder Scrolls title, and in their latest teaser, Zenimax also implied that it will give The Elder Scrolls Online fans a never-before-seen look at the region and at Khajiiti culture. This makes fans more curious about this game. One thing you should aware that all this and more would be available once Elsweyr launches in June. PC/MAC players can actually participate in Early Access, which will take place on the 20th of May, 2019. In fact, the DLC's prologue quest is already available for free in-game! Now, the DLC is available to pre-order, with assorted of pre-order rewards such as Elder Scrolls Online gold and more would be available to early adopters.